édité le 10/12/2015 - Plus de news de "CHEVRON" - Voir la fiche entreprise de "CHEVRON"
Chevron Corporation announced a $26.6 billion capital and exploratory investment program for 2016. Included in the 2016 program are $4.5 billion of planned expenditures by affiliates. The 2016 budget is 24% lower than total expected investments for 2015. "Our capital budget will enable us to complete and ramp-up projects under construction, fund high return, short-cycle investments, preserve options for viable long-cycle projects, and ensure safe, reliable operations," said Chairman and CEO John Watson. "We gain significant flexibility in our capital program as we complete projects under construction," Watson continued. "Given the near-term price outlook, we are exercising discretion in pacing projects that have not reached final investment decision." For Upstream, approximately $9 billion of planned capital spending is for existing base producing assets, which includes shale and tight resource investments. Roughly $11 billion is related to major capital projects currently underway, and approximately $3 billion relates to projects yet to be sanctioned. Global exploration funding accounts for approximately $1 billion. Approximately 80 percent of affiliate expenditures are associated with investments by Tengizchevroil LLP in Kazakhstan and Chevron Phillips Chemical Company LLC (CPChem) in the United States. 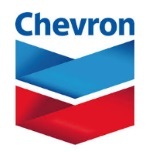 Chevron(NYSE: CVX) is one of the world's leading integrated energy companies. Through its subsidiaries that conduct business worldwide, the company is involved in virtually every facet of the energy industry. Chevron explores for, produces and transports crude oil and natural gas; refines, markets and distributes transportation fuels and lubricants; manufactures and sells petrochemicals and additives; generates power and produces geothermal energy; and develops and deploys technologies that enhance business value in every aspect of the company's operations. Chevron is based in San Ramon, California.